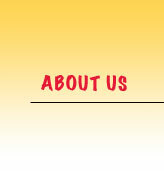 Family owned and operated‚ our Donkey Chips brand authentic style tortilla chips combine all natural ingredients with the traditional approach to making only the finest White Corn chip and using only the highest quality standards. 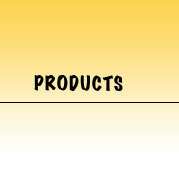 INGREDIENTS: Corn‚ Water‚ Corn Oil‚ Trace of Lime and (with or without) Salt…ENOUGH SAID!!! 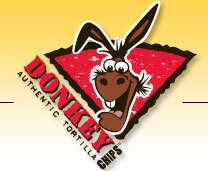 DONKEY CHIPS…A Fresh‚ New Approach to Your Everyday Tortilla Chip! Press Room Click on a headline to read more about Donkey Chips in the news. 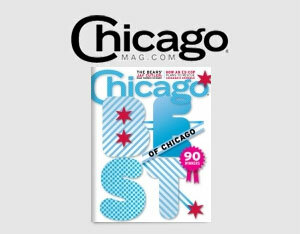 Donkey Chips voted one of the top tortilla chips in the "Best Of" August, 2009 edition of Chicago Magazine!